This popped in one of my feeds, and made me again aware of how much I need to learn techniques for night sky photography. I am curious who here has any plans to photograph this moon eclipse, and what equipment and techniques you would use? Depending on weather and motivation. Skyline near pagemill in the CA Bay Area is normally a decent spot. Lots of ambient light which cannot be avoided in the bay area easily I guess. I used a cheap mirror lense last time, results were meh. I don't have special gear but may try and sneak out to see what is happening and experience in person. I bet if more time and planning heading up mnt hamilton would be even better weather allowing. Would be cool to be in death valley where you see so much more sky due to the lack of surrounding light poplution. simple fuji mirrorless and 35 1.4 I am guessing as that is all I have access too. 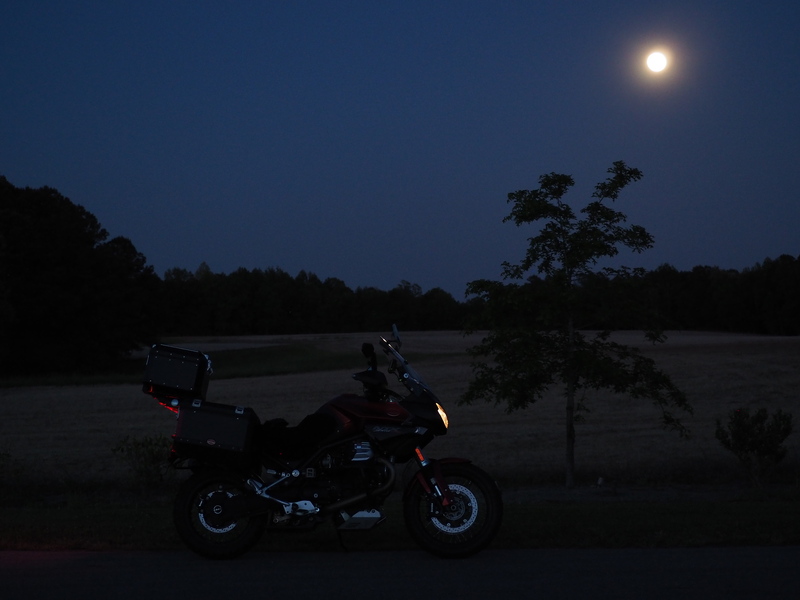 Here around central NC there still are places I could go to evade artificial light interference. Trees getting in the way are usually the problem, depending on location. My camera is an Olympus OMD M5 II and I have one prime lens f 1.8 and two kit lens, so am just trying to figure out which to use, but more importantly what settings to shoot with. Reading up on it should help a little. My last attempt at the blood moon. Taken with in our local Botanic Gardens where I do most of my shooting, thought I’d ask if they would let me shoot at night and they told me to come and pick up the keys and help myself. One of the last shots before it was clouded out. @Glenn_Smith they are beautiful, in a fairy tale kind of way! 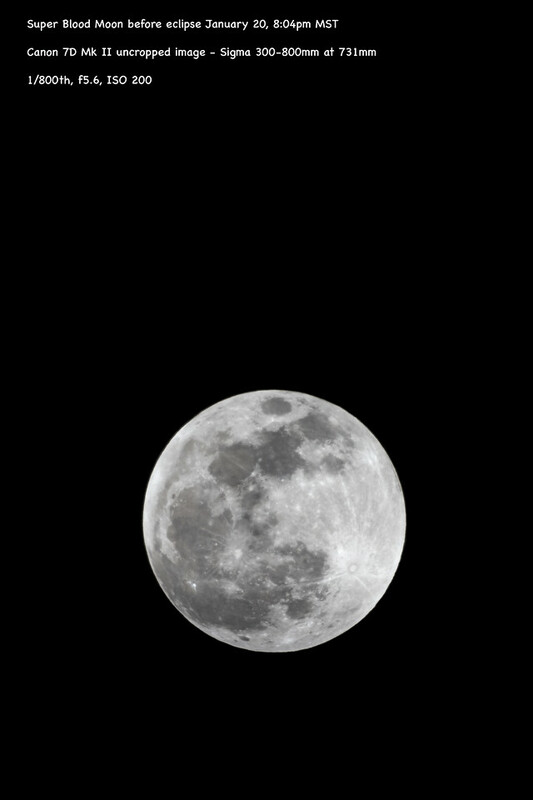 In fact I believe all moon shots ought to be that way, fascinating and mysterious. 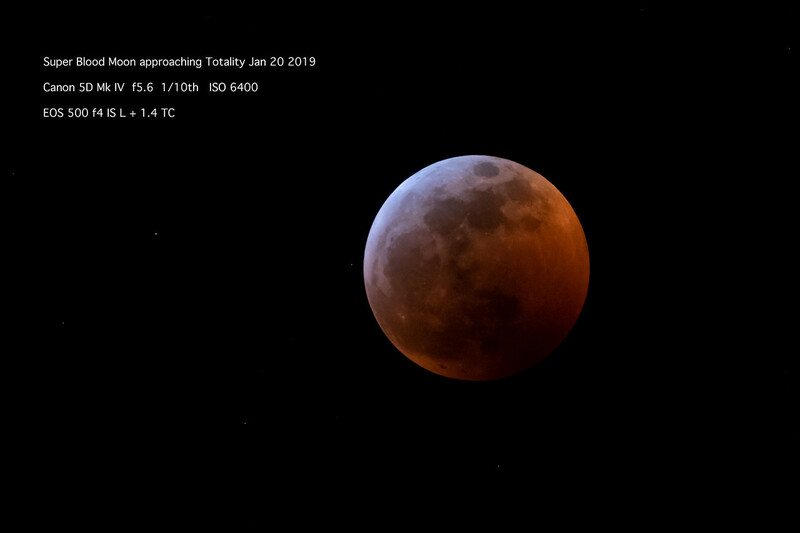 I am now urgently looking for a good, safe, night sky location to photograph the lunar eclipse of January 20, 2019 - this coming Sunday - somewhere within an hours drive of Denver. A nice foreground would look nice as well - maybe looking down over Denver from higher ground. I don't live in the Denver area, so any suggestions will be very helpful. Anyone else plan to be out shooting this Sunday evening? I am now urgently looking for a good, safe, night sky location to photograph the lunar eclipse of January 20, 2018 - this coming Sunday - somewhere within an hours drive of Denver. A nice foreground would look nice as well - maybe looking down over Denver from higher ground. Doug, do you have any suggestions for this traveler to Colorado? I don't think I could suggest anything that couldn't be found on a map. I mountain bike at a few places surrounded by civilization that might work, but they would require some walking. It seems like the biggest problem would be finding a place with a view in the right direction. Hot cocoa and cookies will be served. Not sure if you will get the city backdrop, but in the hope that you will share with us more spectacular pictures, I searched and found this article..
"The eclipse will begin just before 4 a.m. local time in Colorado, and will be visible on the western horizon over the Rocky Mountains, according to Paul Haynes, assistant professor in the Department of Astrophysical & Planetary Sciences at the University of Colorado. "Over the course of about two hours, the moon will go from bright gold to red and then inky gray-black, as the eclipse peaks about 6:30 a.m. local time." By then, if you're in the foothills along the Front Range, the moon will have disappeared behind the mountains...which makes a good argument for heading east for better viewing. The eclipse will end at 7:07 a.m. and then officially set about seven minutes later." Dracula, I made a typing error in my date specifying Jan 20, 2018 when this week end is obviously Jan 20 2019. The eclipse I am attending is on the early evening of Sunday, Jan 20, 2019 - the link you have above, about the Super Duper Blood Moon, is an event that happened last year, on Jan 31, 2018, not the upcoming one this weekend Jan 20, 2019. I noticed the times were wrong - your link talks about 3 am Jan 31st , and the one this week end begins by 8-9 pm Jan 20 as per the links in APM's post. It sounds like I may want to head back east a ways to stay clear of the mountains, or be way high up near Eisenhour or someplace if I have a good view to the east. I am sure I'll find more information when I get to Denver on Friday, weather in the plains permitting. I am planning on shooting with my Sigma 300-800, or the 500 prime I used for the lunar eclipse images, with a Canon body of some type. I can't wait to see them! I'm so jealous because your other images were so good. Thank you so much for sharing them @vegasphotog ! 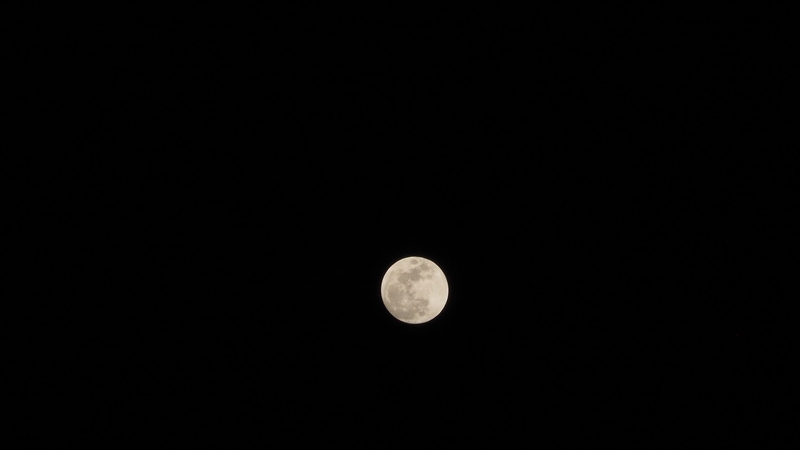 I spent some time between an antiquated dusty Canon XSI Rebel with a 270 mm Tamron I haven;'t used in years, and my Olympus OMD E-M5 II without tripod or a proper zoom lens. My images aren't worth showing, but the Olympus wins hands down.. and in iAuto mode no less, and it ain't the bottle of Cabernet, lolz! It was rainy all day here so we put our lower lips out and felt sorry for ourselves. Then in the middle of the evening my wife thought she heard the rain stop, so we stepped outside. The clouds had parted and the skies had become absolutely crystal clear. The moon was glorious in all its rich redness and white rim. Between us and a few neighbors we stood there in awe for 5 minutes admiring. Then they said "Chris, get your camera!" So I rushed inside, cursing that I hadn't been prepared because I didn't think the clouds would part. And as I grabbed my tripod I heard them shout, "Too late... Clouds." Oh well, 5 minutes of visual magic we didn't expect. Hey Chris....loved your opening line....we had a few clouds as well until I drove up to Red Rock...I was surprised how many people/cars I saw pulled over for the show....maybe at least 100+. From the look of the video, there were a lot of watch gatherings and some pretty impressive equipment. 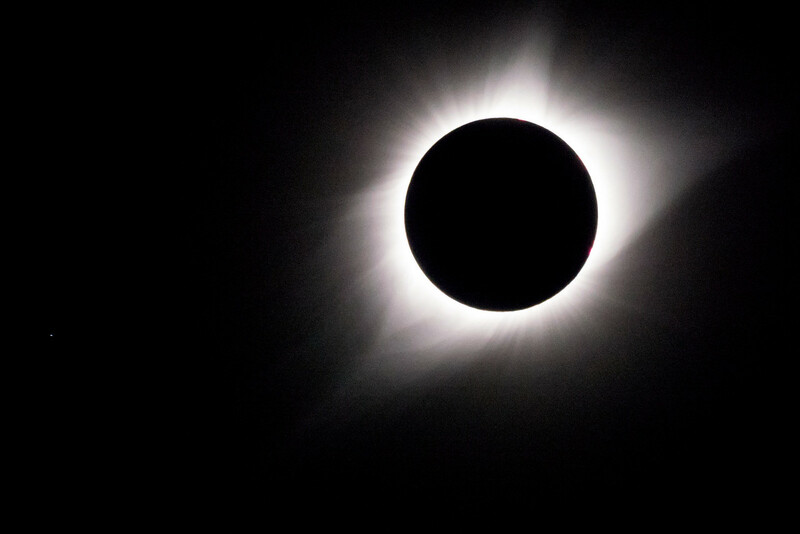 I love the article below which explains how the eclipse happened. Thank you! I think I want something like this, highest resolution possible and make it a wall poster. I am finally finishing my edits from the evening of Jan 20 and the trip home from Colorado. I found the shooting that evening challenging - I used two systems, a Canon 7D Mk II with a SIGMA 300-800 on a large Feisol tripod with a Wimberley head, and a Canon 5D Mk IV with a Canon 500 f4 IS L + a 1.4 TC III on a RRS tripod with a BH-55 head. 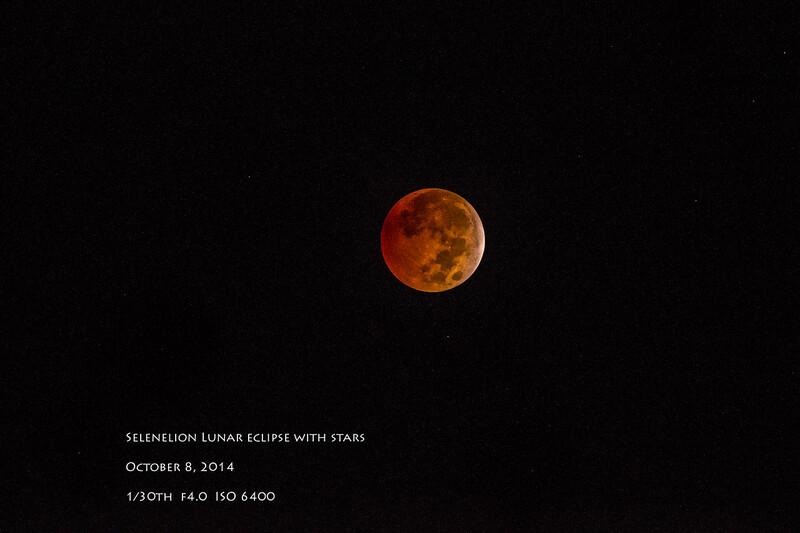 I really didn't anticipate difficulties because I had shot the eclipse in 2014 without issues. I thought the moon would be low for some reason - maybe 25 degrees elevation, but it turned out to be almost directly overhead, so trying to look through a vewfinder with a body and a large lens almost vertical in the dark and the cold, was fraught with more difficulties. 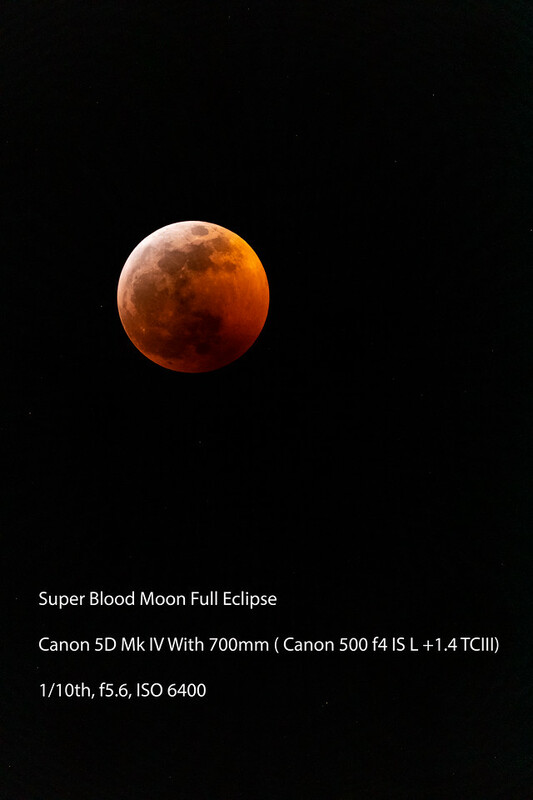 My 7d lost focus when the eclipse became total, as the moon was too dark to AF on, and trying to fous using live view with my camera and lens vertical in the dark with bifocals etc didnt work well. I had focused and turned off AF, but it got bumped or just telescoped due to verticality. I am quite used to using Live View with bright stars, but the darkness of the moon made it much more challenging, trying to crane my neck around low enough and look through a viewfinder.. I had actually thought about buying a SmallHD LCD display to use but thought I wouldnt need it. It would have been a great help, it turns out, and I will aquire one before I try another eclipse shoot. I knew what exposures to expect from my previous experience, but didnt anticipate focusing issues, but I will know better next time. The fact that it was 15ºF didn't help either I suspect.